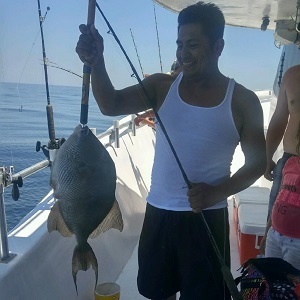 Party Boat Fishing "Vera Marie"
Special $59 or $69 per person depending on which trip you choose. 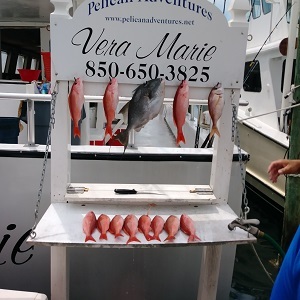 This is an excellent introduction to fishing our beautiful Gulf of Mexico aboard the party boat “Vera Marie”. During the summer, we generally run two trips per day and 1 trip per day during the off season (subject to bookings). 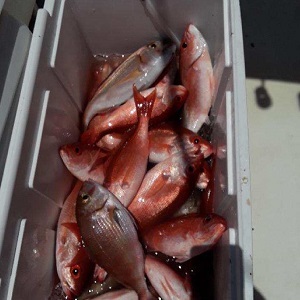 On average, you can expect to catch a variety of fish such as Mingos (Vermilion Snapper), White Snapper (Red Porgy), Black Snapper (Mangrove Snapper), Trigger Fish, Rock Fish, etc. 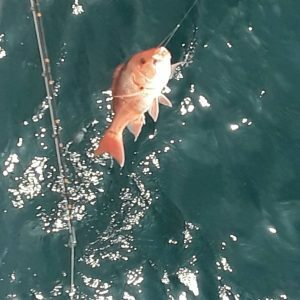 If you are lucky, you could catch Grouper, Jacks, Mackerel, etc. These trips run $59 (4-5 hour) and $69 (6-7 hour) per person. Fishing gear, fish cleaning, bait, and license is provided. Here are some average photos from our daily trips aboard the party boat “Vera Marie”. Here are some photos from our Daily trips aboard the party boat “Vera Marie”. This trip is for the more serious angler. Anything could happen on these trips. What we fish for depends on what the captain feels will deliver the best catch at the time. 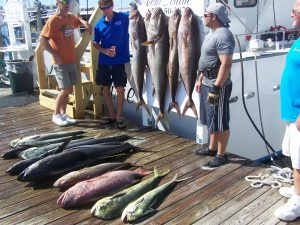 Sometimes we maybe Tuna fishing, sometimes Marlin, sometimes Grouper, sometimes deep dropping in 700′ to 1200′ deep or drift fishing in 2000′ deep water. The excitement of the unexpected will have your blood pumping. The price of this trip is $558 per person. Fishing gear, fish cleaning, and license is included. Same as the 2 Day, just MORE. This is the trip of a lifetime. 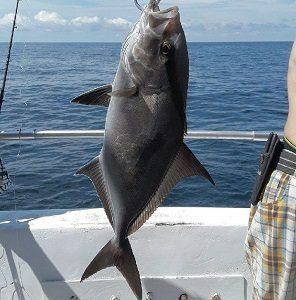 Some monster fish have been caught on this trip. 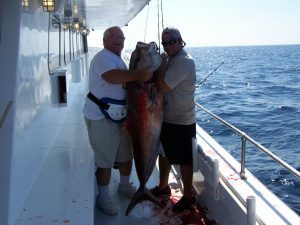 Every trip is a little different and the order may change, but we usually start out fishing the continental shelf for big Amber Jack and Grouper. 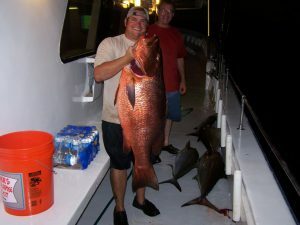 Then, maybe some deep drop fishing in 700′ to 1200′ water depth for Grouper, Tile Fish, and Long Tailed Sea bass. Finally, cruising into water that is thousands of feet deep where we fish for Tuna, Swordfish, Wahoo, and Marlin. The price of this trip is $958 per person. With only 12 customers on such a large boat, you might get lost. Fishing gear, fish cleaning, and license is included. Here are some average photos from our Multi-Day trips aboard the party boat “Vera Marie”. Want the whole boat to yourself? The Vera Marie is the perfect charter vessel for Weddings, Clubs, Corporate Charters, Funerals, bachelor/ette Parties, Large Fishing Parties, and much more. Call now and one of our professional sales representatives will be happy to help you set up your event. You are going to love this 3 Day all-inclusive private charter. 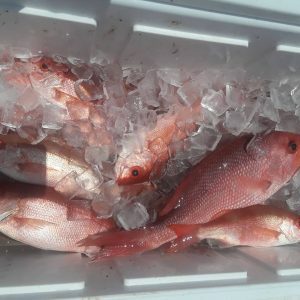 Along with your normal fishing gear, fish cleaning, bunks, and license, you will also get 3 meals per day and beverage including alcoholic beverage as well. 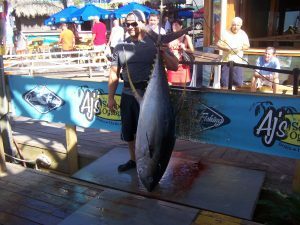 This is monster fishing to the max, on a 75′ fine fishing machine and only $200 per hour. This greatly discounted price is for the 72 hour private trip only.